The Law Foundation of Ontario announced that the 2018 Guthrie Award recipient is Mary Birdsell. The Guthrie Award is the foundation’s signature award to recognize exceptional access to justice champions. 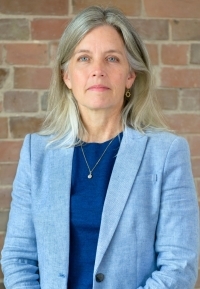 Birdsell is the executive director of Justice for Children and Youth (JFCY), a legal aid clinic dedicated to protecting and advancing the legal rights and dignity of children and youth. Birdsell has devoted her career to providing legal services, justice advocacy, community development and research and education on behalf of the most vulnerable children and youth. Prior to her tenure as executive director, Birdsell was a community development lawyer and staff lawyer at JFCY. During that time she created Street Youth Legal Services (SYLS), one of the only programs of its kind in the world. Addressing a service gap that Birdsell identified, SYLS provides legal information, advice, referrals and representation to homeless youth meeting those young people where they are, including in-person at various youth-serving organizations across the city. Birdsell has appeared at all levels of courts, including the Supreme Court of Canada, on questions related to justice issues for children and youth across a range of legal subjects, the rights of children in criminal justice, rights of child witnesses, rights of children in immigration detention, rights of transgender youth and on behalf of homeless youth impacted by the Safe Streets Act. She has also appeared at inquests, including the Ashley Smith inquest. Throughout her career, Birdsell has dedicated many hours to public legal education and training for children and youth and community and legal professionals. The Guthrie Award will be formally presented at a reception later this year.